Our goal is to stay in our 1922 home near Macalester College. It was designed by famed architect Herbert Sullwold who designed Our Lady of Victory Chapel, a landmark on St. Kate’s campus. Our home has many stairs but had no first floor bedroom or bath. 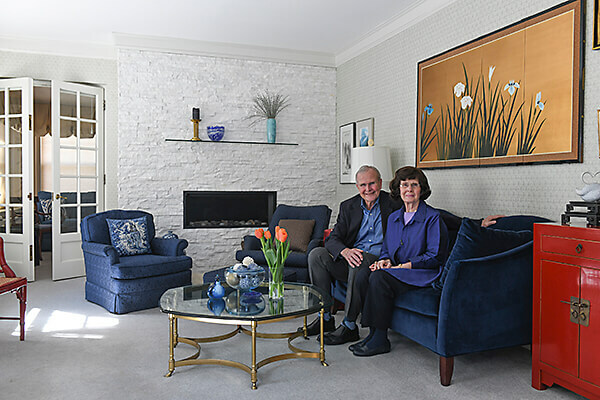 McMonigal Architects explored options with us – from moving, to a large addition, and then remodeling – to reach the best solution. The final design focused on converting a sunroom and unheated porch into a first floor bedroom and bath, without an expensive addition. The second floor bath was gutted. It now features a generous shower and finely detailed tile and cabinets. The living room fireplace has a new energy efficient gas insert with stone surround.